Roulette has always been an exciting casino table game to play, for it only takes a small run of good luck and even the lowest of low rollers can turn their modest bankrolls into a huge winning payday. However, there has always been something of a battle in the online playing environment between casino game designers, each of them eager to design and then launch what they hope will become a much more appealing variant of Roulette than all games that went before their current releases. 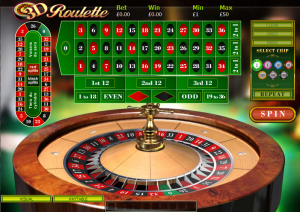 So whilst I can almost guarantee that when you do sign up and then log into any online casino site you are going to find all of the much more classic variants of Roulette, you are also often going to find dozens of different variants on offer too. For reference the house edges on those much more classic variants, those being French Roulette, European Roulette and American Roulette are 1.35%, 2.70% and 5.26% respectively, and as such the French Roulette game is one many players play to take advantage of the low house edge on all even money paying betting opportunities. But you may find yourself drawn to playing some of the much more unique looking and playing variants, and it is worth noting those games, especially those with some form of bonus bet are going to have much higher house edges attached to them. However, many Roulette players are much more interested in what they can win in regards to selecting just which variants to play, and will not be too worried about the house edge, for a quick run of luck could always see them winning big. The Mini Roulette game is on offer at Playtech powered casino sites and that game comes with a much small amount of numbers in play on the wheel, and as such that may be a variant you do fancy playing if you want to reduce the chances of you sleeting a number that is not that likely to spin in. The 3 wheel Roulette is another fairly popular variant and that game simply sees three instead of just one wheel being sent into live play on each game played off, but you do of course then stand the chance of losing as well as winning three times faster when playing that variant than when playing any other variant! Progressive Roulette games are also on offer at quite a lot of different online casino sites, but the problem with those games is that they require players to actively place a side bet on each spin of the wheel, the side bet feeds the jackpot pool and may also offer a range of additional bonus payouts too.